“It has been a huge bereavement that befell me on Wednesday when these poor schoolgirls were returned and I rushed out to welcome them only to be told that my daughter was among those that lost their lives." When news filtered in that the abducted Dapchi school girls had been returned by the Boko Haram sect, Dapchi, Yobe State, was thrown in a frenzy. Parents, residents, friends and Nigerians generally received the news with great joy. But the joy of Adamu Jumbam, father of Aisha Adamu, one of the Dapchi schoolgirls, was cut short. His daughter was among the five that died. Of the 110 schoolgirls kidnapped in Dapchi in February, 104 were released by Boko Haram, five died during the kidnap while one remains with the terrorists for allegedly refusing to put on a hijab and renounce her Christian faith. Jumbam, however blamed the federal government and its security forces for the tragedy that befell his daughter. 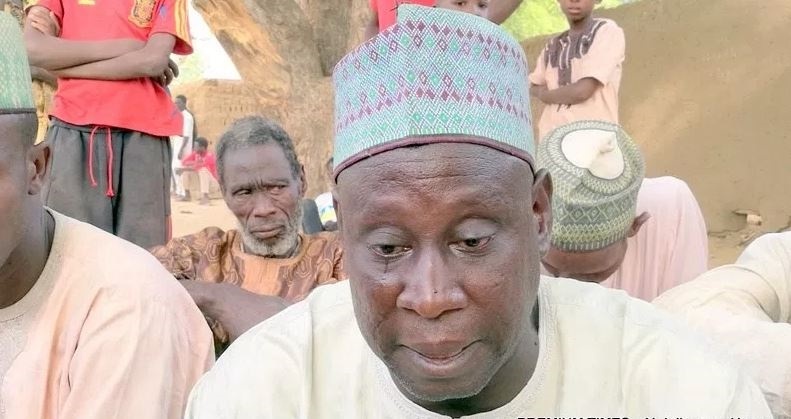 Jumban spoke in Dapchi village where he is currently mourning his 16-year-old daughter. He questioned the circumstances that surrounded the abduction and subsequent release of the girls by Boko Haram. The Nigerian government had explained that in order to safeguard the lives of the freed girls, it refused to confront the insurgents when they came to deliver the captives on Wednesday. But this argument did not seem to assuage the pains of the mourning parents of Dapchi.